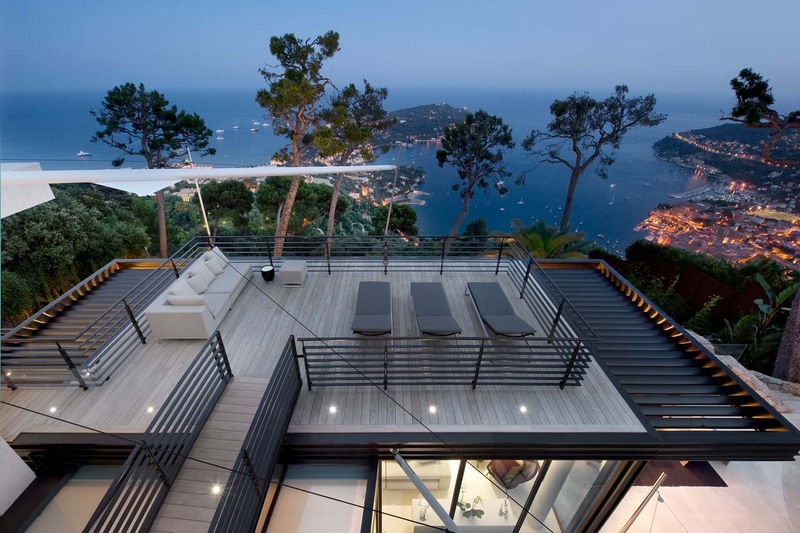 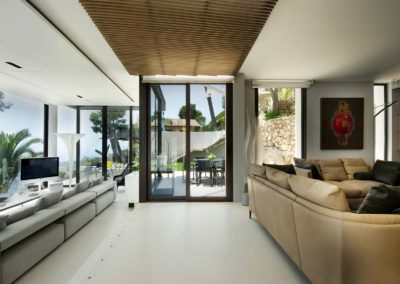 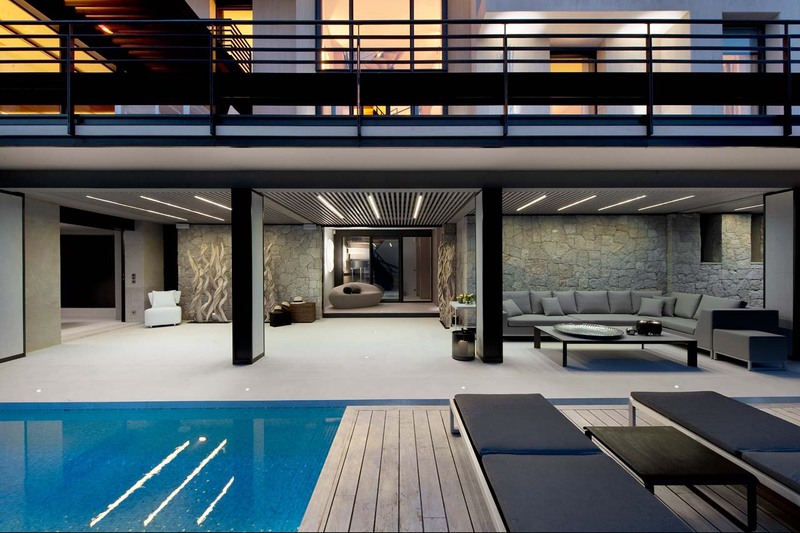 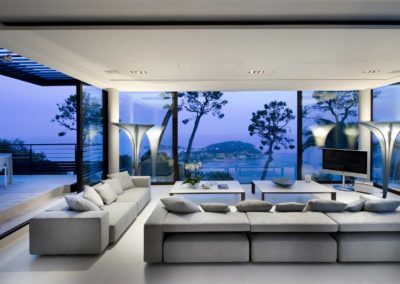 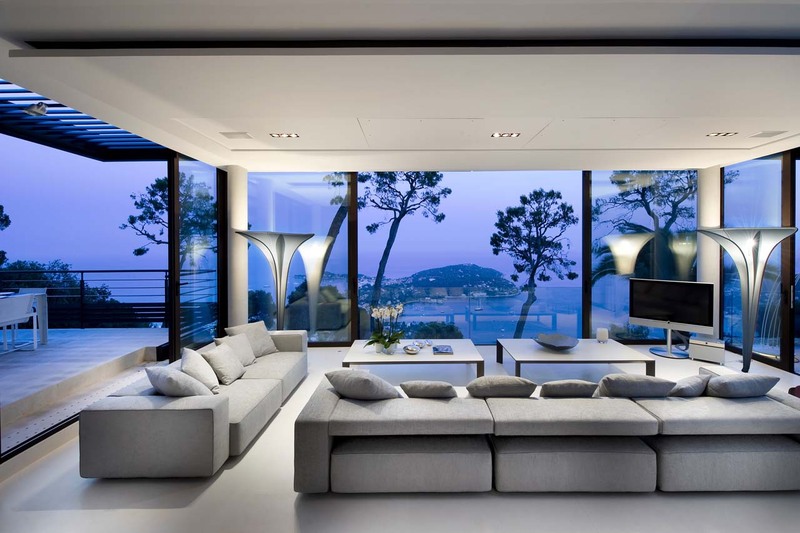 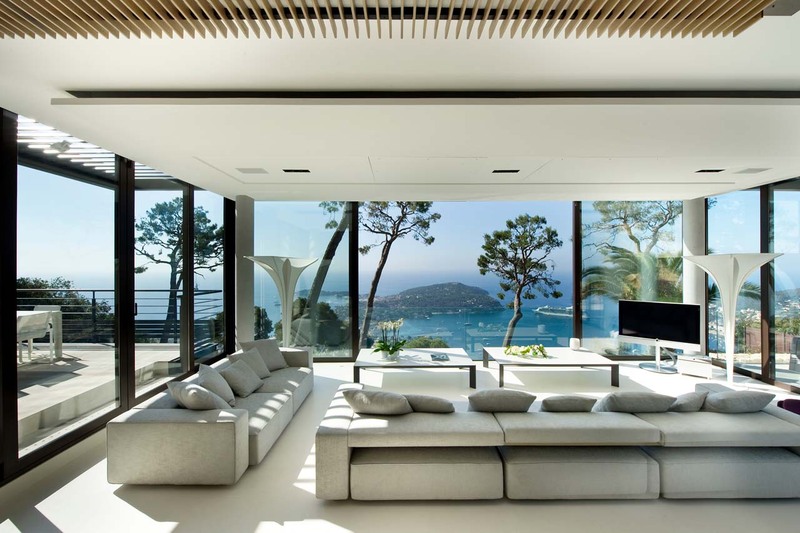 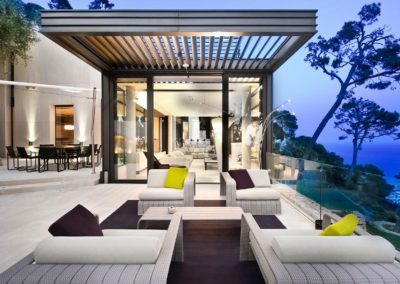 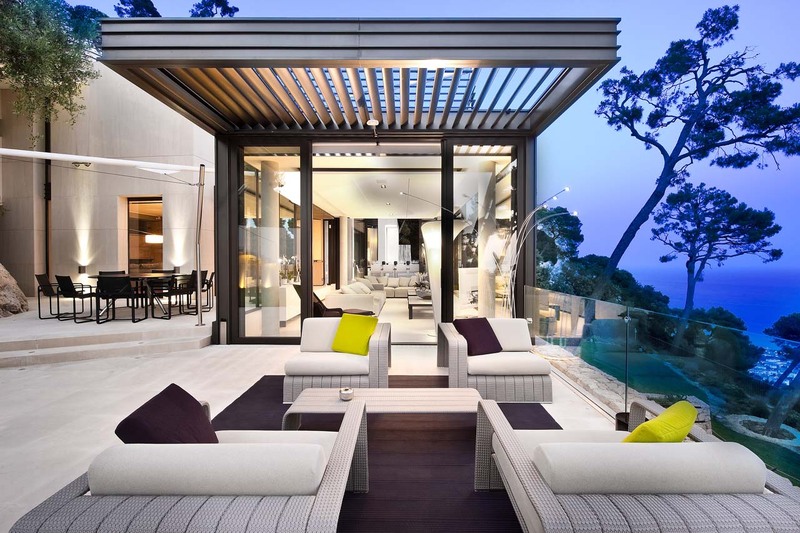 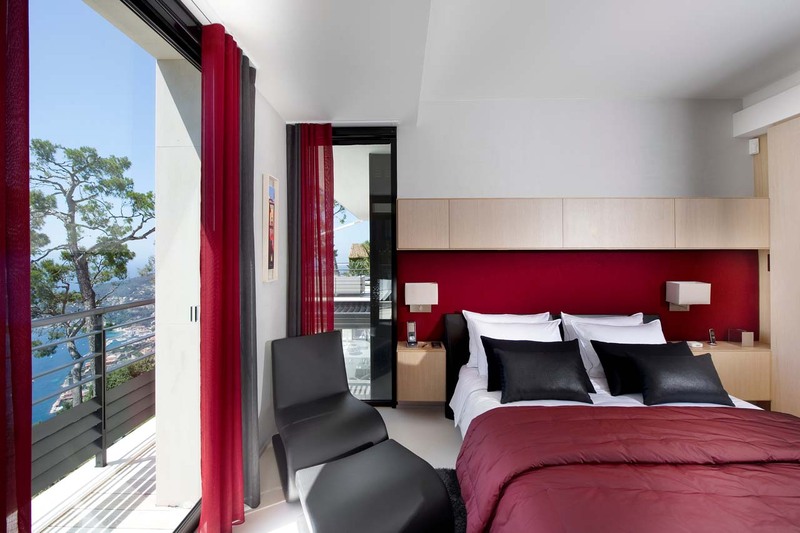 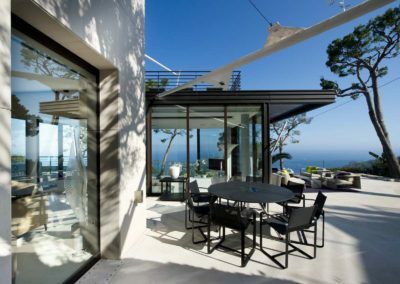 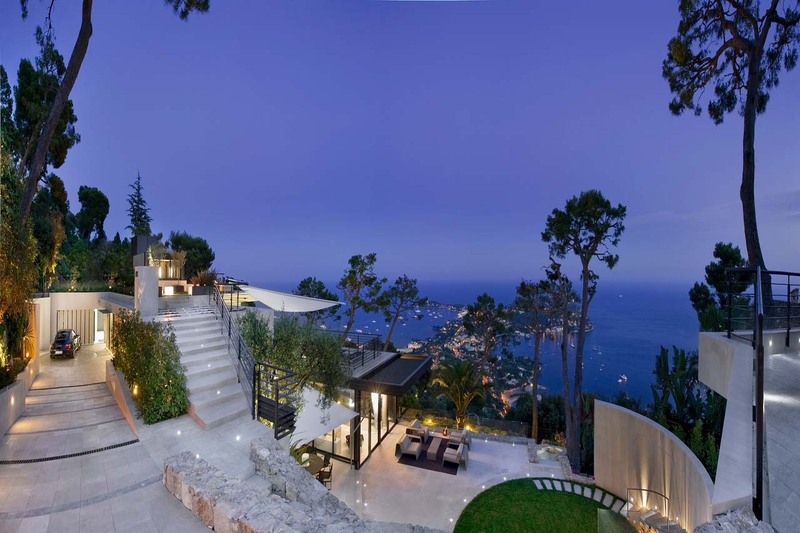 Villa Bayview is an architectural masterpiece built against a hillside above Villefranche-sur-Mer on the Cote d’Azur. 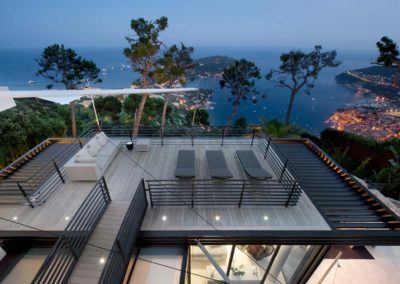 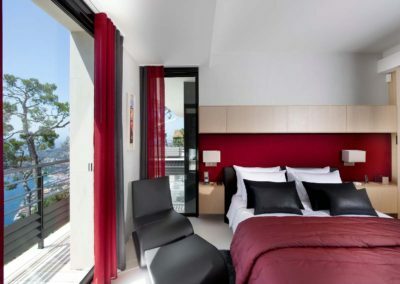 The villa has been designed to create an impressive and bright space where guests can feel fully in touch with their surroundings and enjoy spectacular views of the bay of Villefranche from inside and outside the house. 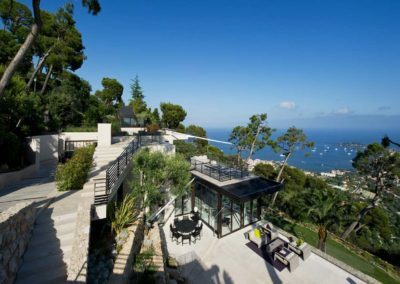 Set in close to 3000m² of private gardens, the property has 300m² of living space and 100m² of terraces. 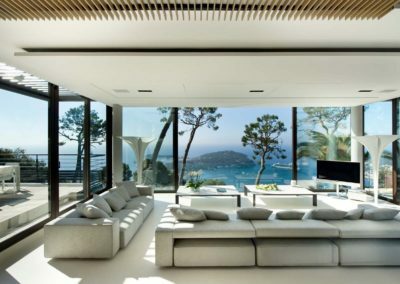 There is a spacious living room with floor to ceiling windows looking out over the bay and a seperate raised seating area around the TV. 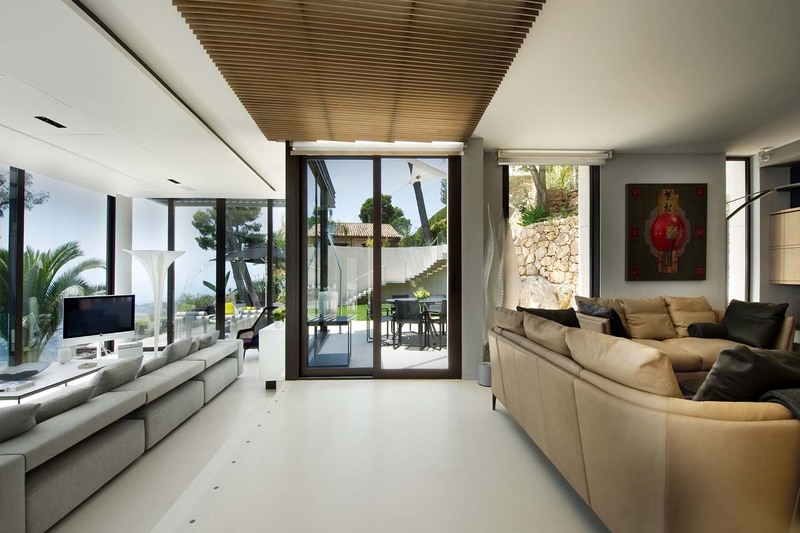 A sculpted staircase leads up to a lush roof garden with outdoor living spaces. 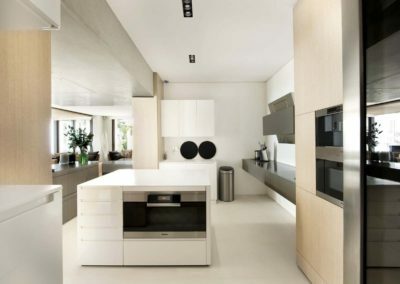 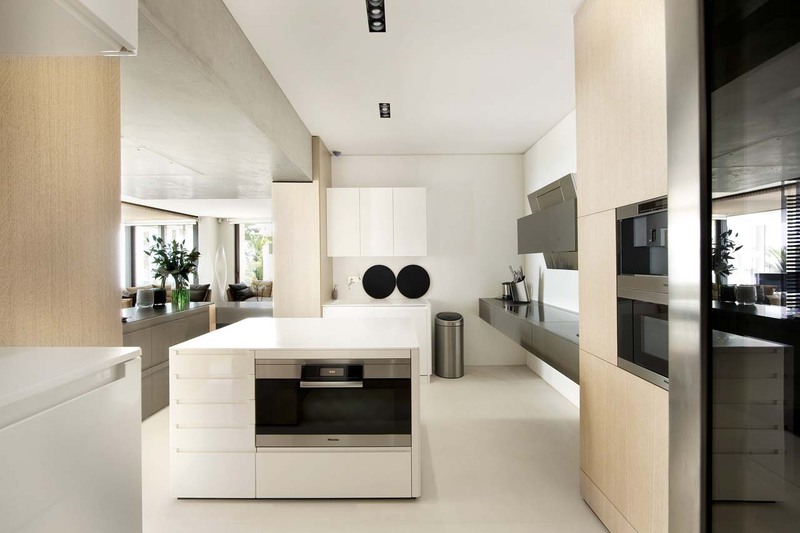 There are two kitchens, a dining room and al fresco dining areas. 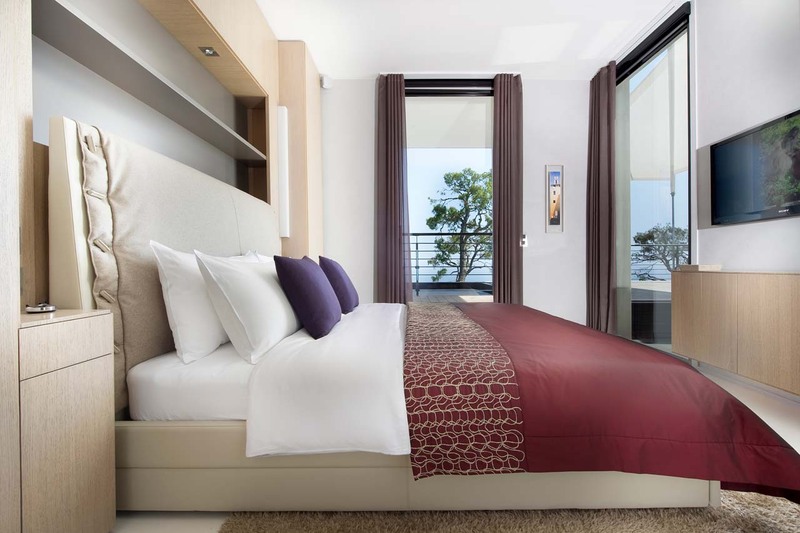 Villa Bayview has five en-suite double bedrooms. 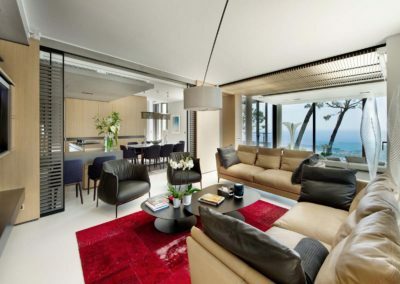 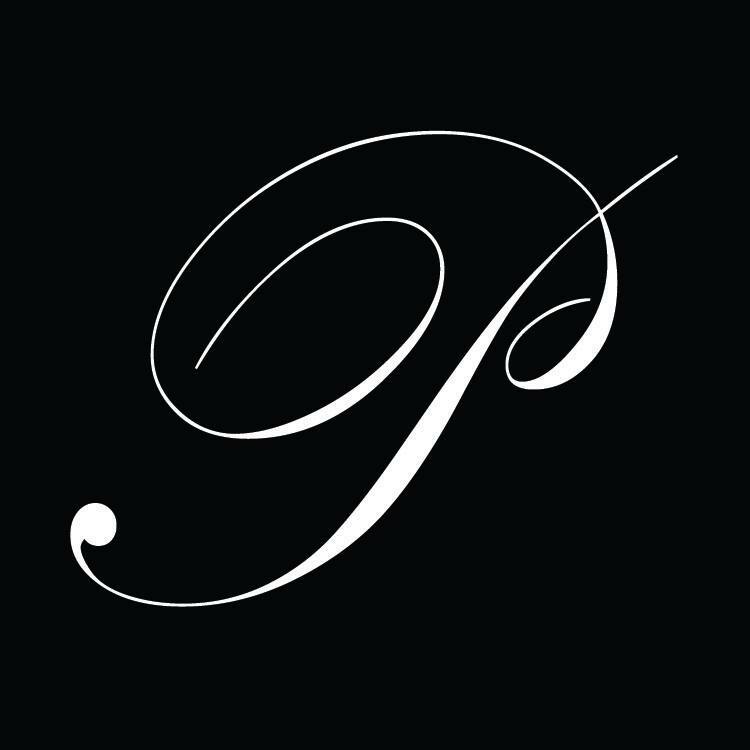 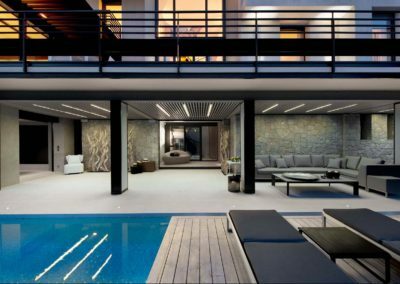 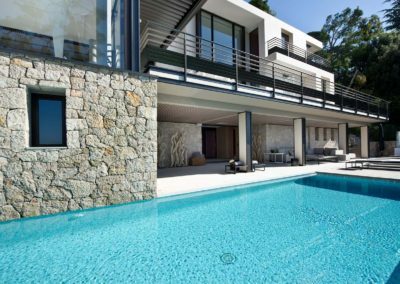 There is lift access to each level of the property and the villa is equipped with the latest in audio visual technology and a state-of-the-art security system. 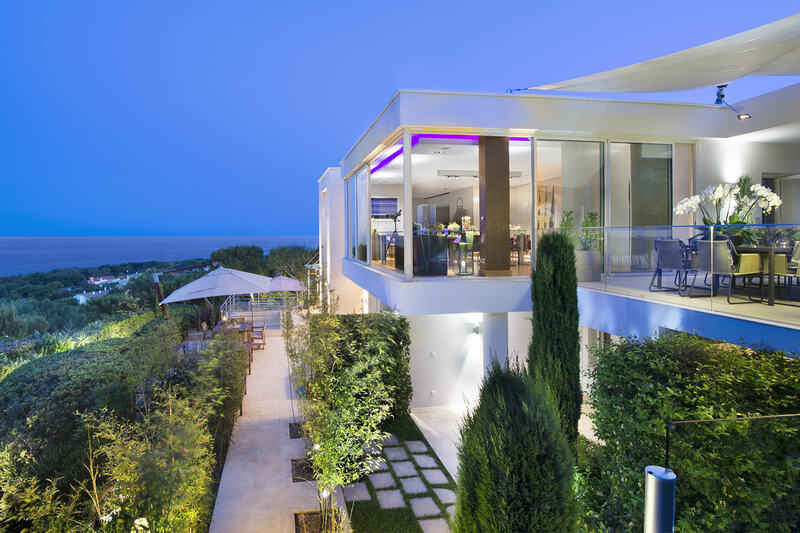 Outside there is a 12m x 4m swimming pool, a pool house and a number of terraces and balconies on different levels, all overlooking the bay and below. 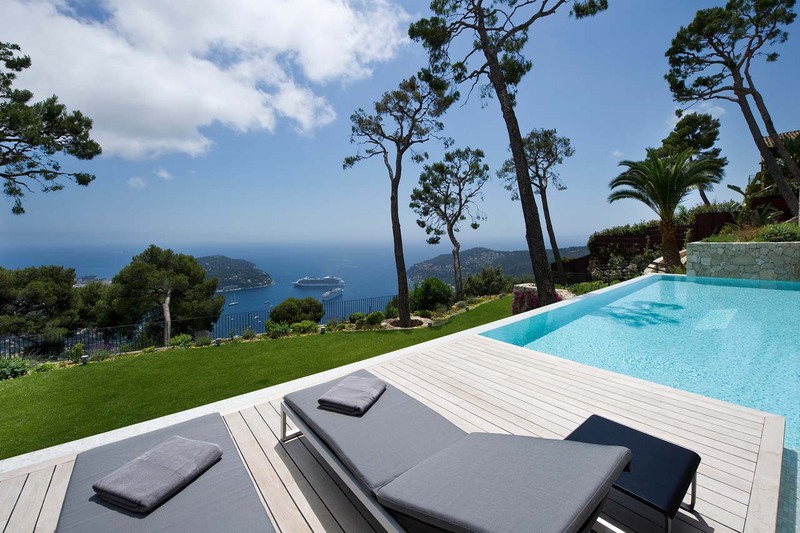 The villa is surrounded by gardens with mature mediterranean pine trees. 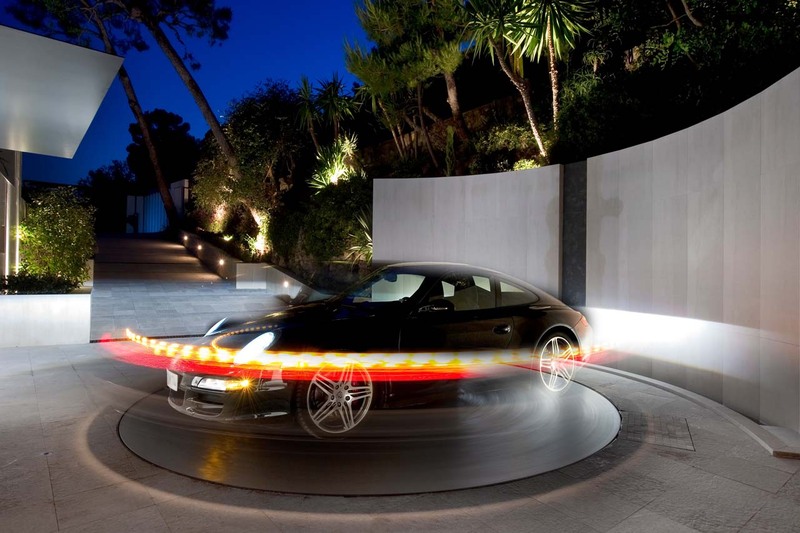 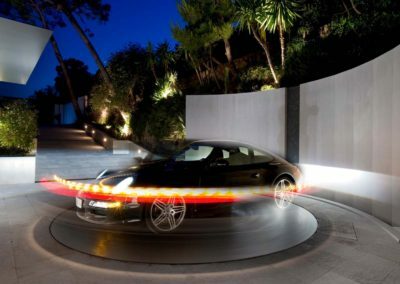 There is driveway access from the street to a private parking area with a car turntable. 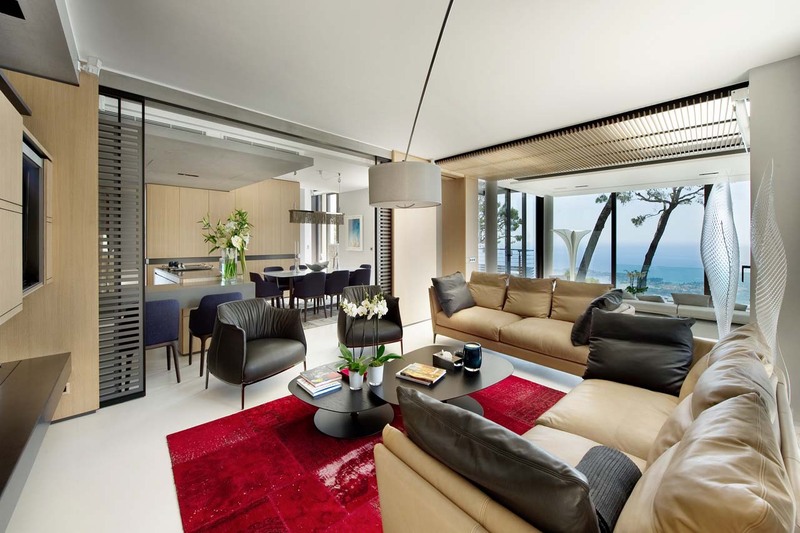 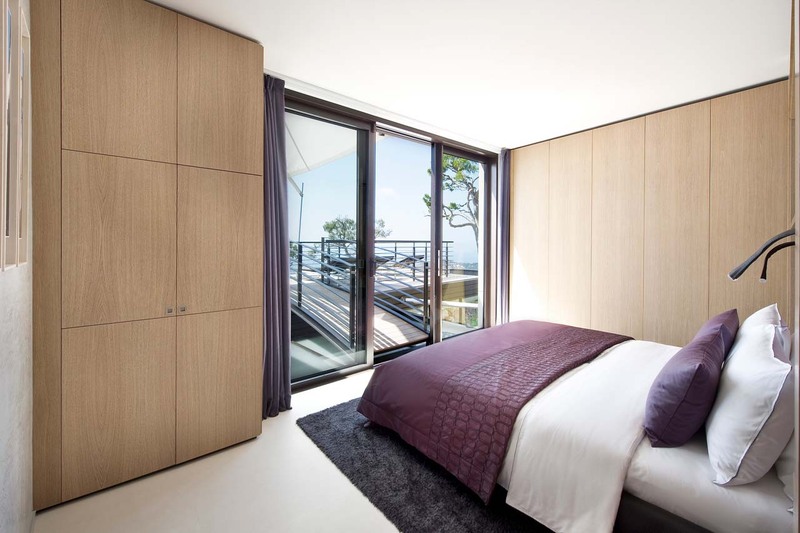 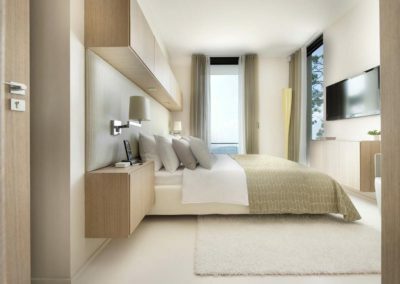 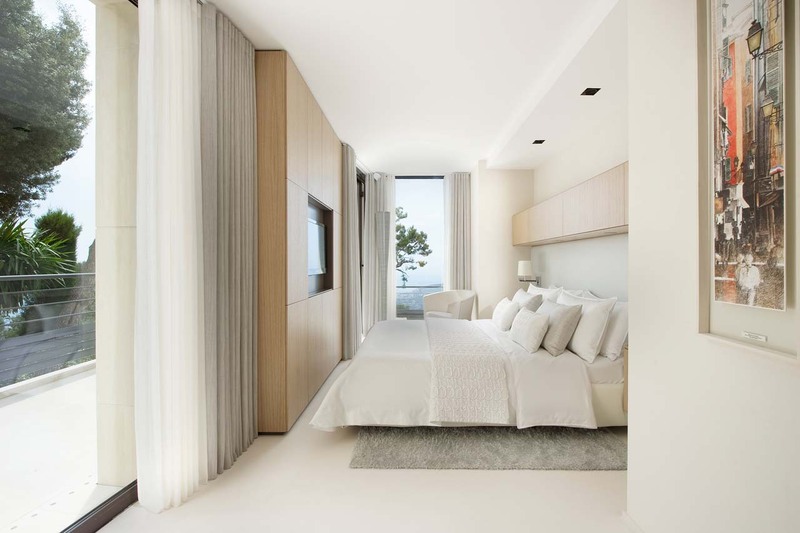 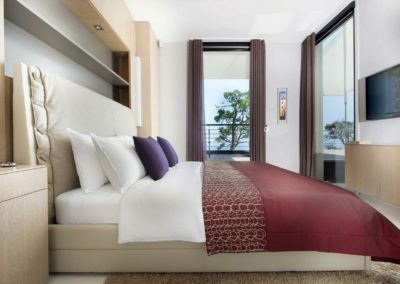 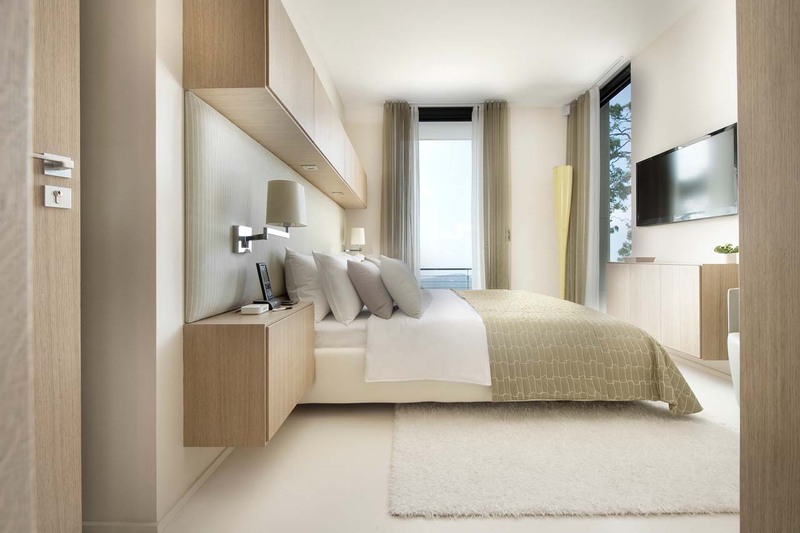 Master Bedroom with en-suite bathroom, dressing room, television and a private sun terrace. 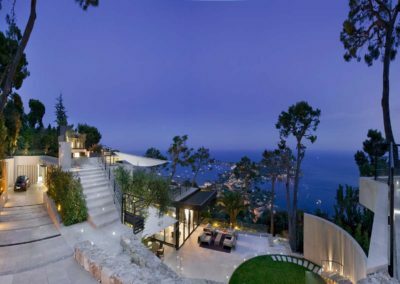 An architectural masterpiece built into the hillside in the Domaine de Castellet area moments from Villefranche and Beaulieu.